Order Your Copy Today for Only $25.99 and put an end to chronic pain! Available for purchase at Amazon, Barnes & Noble, Books-a-Million. Download your free preview of my new book—now available to order! To receive the first chapter of The Pain Cure RX: The Yass Method for Diagnosing and Resolving Chronic Pain enter your name and email address. Are you struggling with chronic pain? Have you tried everything but nothing has worked? Are you afraid that surgery is the only hope? Over one billion people across the globe suffer needlessly every day from chronic pain. The medical model we’ve relied on to fix our pain isn’t working. If you want another answer for pain relief besides a serious surgery or taking pain medications, then The Pain Cure RX is your long awaited solution in living pain-free for good! A sense of fear: Fear of having to live with this pain and fear of what will come if pain is eliminated. After living with chronic pain for so long, it’s hard to imagine or even believe that there is hope for a solution. You may feel like you are stuck with the emotional, physical and mental effects of pain. Like many sufferers, you have relied upon the medical model for their answers…until now. You don’t have to suffer any longer. 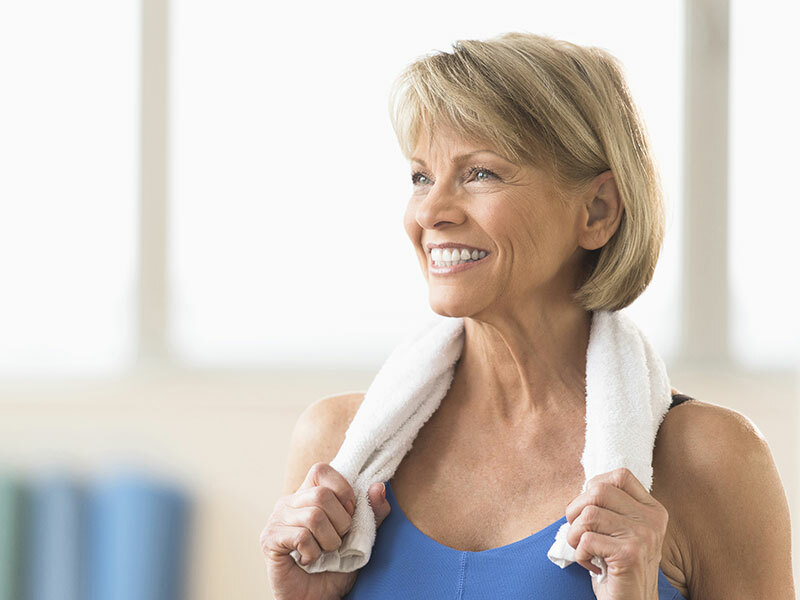 You can resume living a life that is active and pain free and Dr. Yass can show you how. 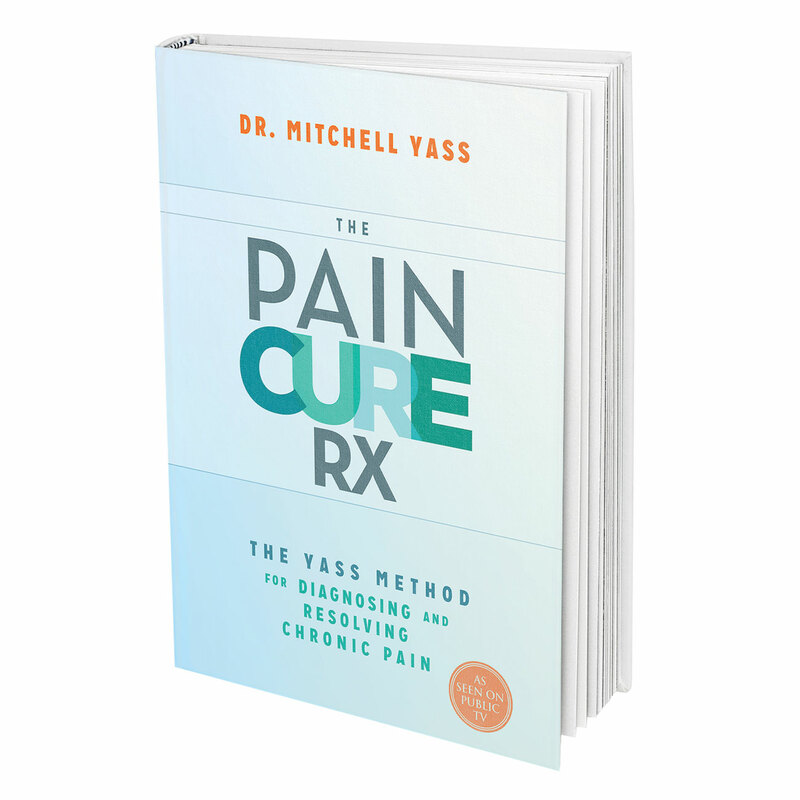 The Pain Cure RX, by Dr. Mitchell Yass, presents an alternative model of treatment known as the Yass Method, that can resolve pain quickly and effectively without surgery or medication. The Yass Method, developed through Dr. Yass’ work with more than 14,000 patients, focuses on finding the true source of the pain and then using simple exercises that strengthen and balance weak areas for lifelong relief. If you suffer from chronic pain, you want a real solution that’s easy and inexpensive and one that actually works long-term. You long for the ability to experience the activities you once enjoyed before the pain took over. And you want proof that this solution will work for your pain. Dr. Yass has spent the past 20 years developing his method of diagnosing and treating the cause, not the symptom, of pain and believes that this is the future of pain relief. He is currently treating patients in Florida utilizing his unique method, known as the Yass Method, is the author of The Pain Cure RX, Overpowering Pain, and was host of the radio show Stop the Pain; I Want My Life Back. He has written articles for various publications including Advance for Physical Therapists and PT Assistants, Bottom Line Health, and Cure-Back-Pain.org, and he has been featured on numerous radio shows. Download the appendix of my new book—now available for pre-order! To receive the appendix for The Pain Cure RX: The Yass Method for Diagnosing and Resolving Chronic Pain enter your name and email address. THE PAIN PRESCRIPTION is a 60-minute public television pledge special that shows viewers exactly why they no longer need to suffer from chronic pain and some of the simple ways to resolve pain. Dr. Yass is a powerful advocate for a new way to look at chronic pain—a way that is non-invasive. 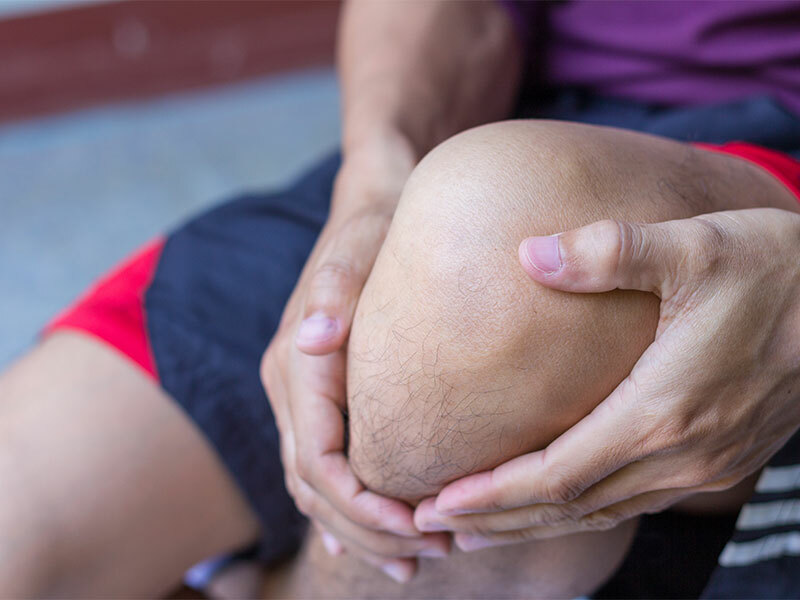 In about 90 percent of cases, the cause is actually a muscular weakness or imbalance—a condition that’s easy to treat on your own. The Yass Method®, developed through his work with more than 10,000 patients, focuses on finding the true source of the pain and then using simple exercises to find lifelong relief. Many of the people Dr. Yass has treated came to him as a last resort before surgery or as a follow-up after surgery that didn’t resolve their pain. Many of them had been told that they would have to manage their pain with drugs for the rest of their lives, or, worse, that there was nothing left to try; they would simply have to live with the pain. This revolutionary book shows that, in most cases, this simply isn’t true—and empowers you to create a pain-free life. If you’ve been suffering from chronic pain, you know how it can destroy your life. You can’t work, you can’t parent, you can’t have a normal life. But there’s absolutely no reason you need to suffer physically, emotionally, and financially because of our faulty medical system. There is freedom from pain. You just have to know where to look and when to question what you’ve been told. In The Pain Cure RX, Dr. Yass walks you through what pain means, how to understand common diagnoses, the power in evaluating whether you should accept a diagnosis, how to determine the real cause of your pain and exercise (including pictures) to strengthen areas that are causing pain. This guidebook gives you the ability to determine what the cause of your pain is through interpreting symptoms using a variety of simple tests and exercises that truly puts the power back in your hands. Most people suffer from pain because in trying to perform their daily activities all the muscles responsible for performing the activities are not strong enough to do so. This leads to the muscles straining and emitting pain. It can cause the muscles to weaken or become unbalanced and create a misalignment of joint surfaces in joints which create pain at the joint. The key is that for each person, their functional activity loads are different so it is a question of the relationship between the strengths of the muscles of the person versus the strength requirements of the activities being performed. Due to less surface area taking the full forces through the joints, this can lead to deterioration of the structural components. So arthritis, stenosis, herniated discs and meniscal tears are in fact, in most cases, the result of muscle weakness or imbalance. The flaw in diagnostics resulted when these structural variations were found and were thought to be the cause of pain when in fact they were degenerative in nature and not emitting pain while it was the muscle weakness or imbalance creating the pain. The Yass method uses the exact system that the body has designed to create awareness of the cause of pain. It provides a set of symptoms which when interpreted tells you which tissue is the cause of the pain. The most common tissues associated with pain in the extremities, neck and back are muscle, nerve and bone. Each one of these presents with specific symptoms that can be interpreted to tell which tissue is creating the pain. Once the source of pain is determined, then you work the muscles to strengthen and increase flexibility. How Long Will the Yass Method Take to End My Pain? In 90 to 95 percent of the cases where doctors had identified a structural problem as the cause of pain, Dr. Yass found something completely different. What he discovered as he worked with people was that most of the pain they experienced actually came from muscular weakness or imbalance rather than structural problems. Using the simple tests and techniques in The Pain Cure RX, you’ll be able to determine whether your pain stems from a muscular or structural issue. If it is structural, surgery is the proper course of action. More likely, however, you’ll discover that the pain is caused by a muscular issue. The length of time it takes to eliminate muscular issues will depend on the individual and how well they follow the step-by-step instructions in this book. You’ve been living with pain for years. Now you can experience relief in as little as two weeks when you follow the Yass Method as outlined in Dr. Yass’ book, The Pain Cure RX. Everybody has the right to live without pain. Health Reporter, Cablevision News 12. The medical information provided is for informational purposes only and is not to be used or relied on for any diagnostic or treatment purposes. This information is not intended to be patient education, does not create any patient-physician relationship, and should not be used as a substitute for professional diagnosis and treatment. Please consult your health care provider before making any healthcare decisions or for guidance about a specific medical condition.